Headed to the Lawn at White River State Park to catch a show? Stop into Conner's before or after for some FREE* Nachos!! You read that right, FREE NACHOS! 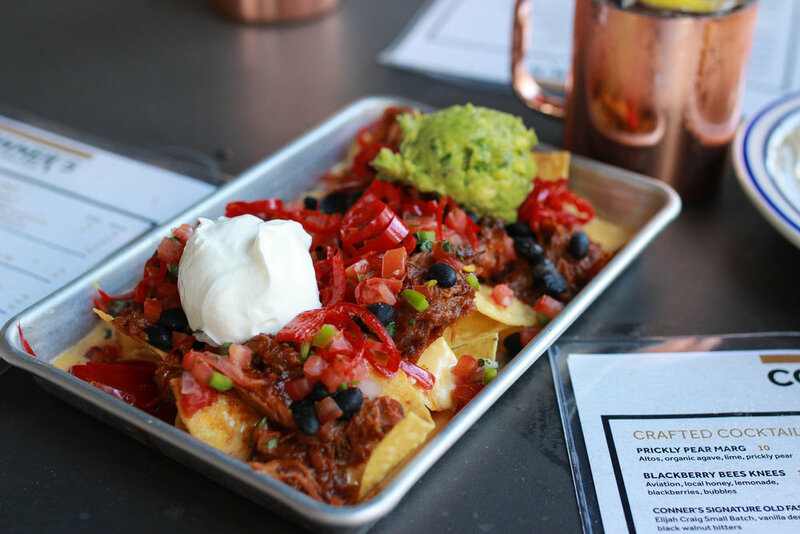 Bring in your ticket stub and we'll give you a half order of the Loaded BBQ Pulled Pork Nachos with a purchase of $10 or more. Just you, your friends and some savory nachos. *Minimum spend of $10 required. Dine in only. Limit one per customer. Cannot be combined with any other promotion or discount.